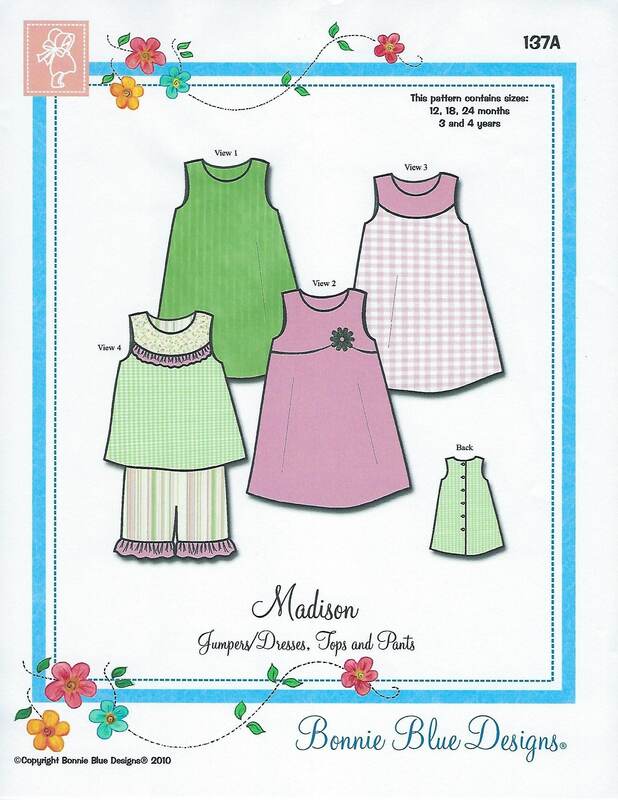 Package includes patterns and instructions to make Jumpers/Dresses, Tops and Pants. Jumpers/Dresses are fully lined with buttoned back. Includes basic Jumper/Dress and round yoke Jumper/Dress for coordinating fabrics and trim placement. Jumper/Dress can be shortened for a Top with knee-length Pants and ruffle. 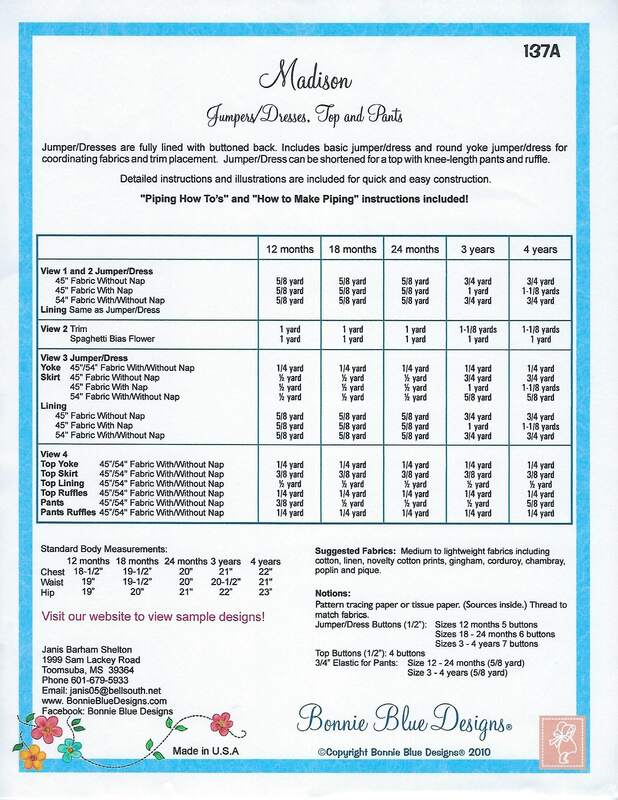 "Piping How To's" and "How to Make Piping" instructions included! 137A (12 mo, 18 mo, 24 mo, 3 yr, 4 yr) - All sizes included in one envelope. 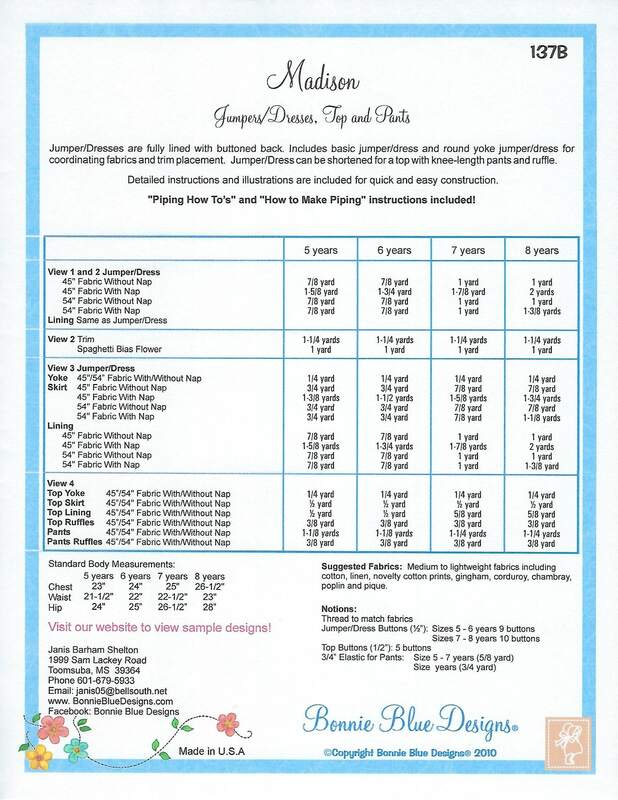 137B (5 yr, 6 yr, 7 yr, 8 yr) - All sizes included in one envelope.